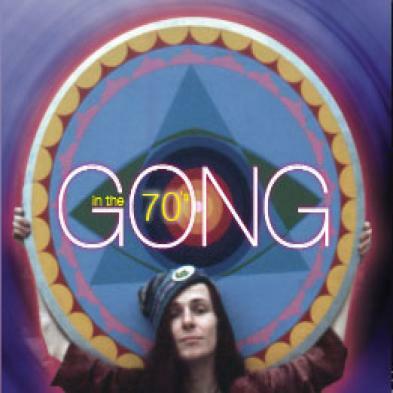 Gong - "Live in the Seventies"
This is an interesting archive CD of live tracks and rehearsals recorded from '72-'74. On most of the tracks the classic line up of Hillage, Blake, Allen, Smyth, Malherbe, Moerlen and Howlett is featured. There is quite a lot of very strange stuff on these CDs and weird versions of songs you have heard before as well. I think this was recorded in a period when the band was doing a lot of LSD. The sound quality is fine but the band is pretty damn spaced out. The Om Riff has the band really flying and Hillage ripping off some amazing solos! The band gets very strange with tracks like I been stoned before, Long Shanks and O Mother before Holy Mystery begins and you have great Tim Blake synths and Hillage singing! You can hear the embryonic sounds of what Steve's solo stuff would head into soon after this was recorded. These first 9 live tracks are the best material on the CD. Next up is a studio rehearsal of Tropical Fish with Pip Pyle on drums and Christian on bass, but gone are Hillage, Blake, Howlett and Moerlen. Tracks 11-13 bring back the classic band though. A pretty cool archive CD. I hope they have more of this stuff lying about. For more information you can visit the Planet Gong web site at: http://www.planetgong.co.uk. Visit the Voiceprint web site at: http://www.voiceprint.co.uk.